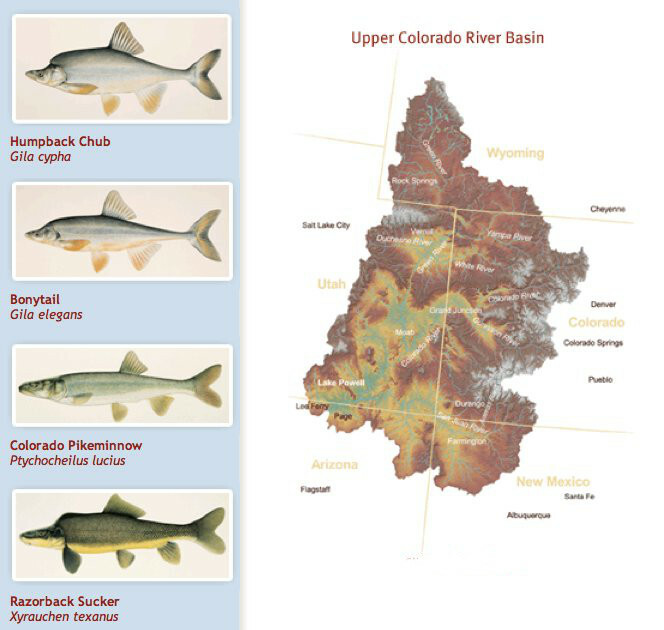 The ​Colorado Basin River Forecast Center (CBRFC)​ geographic forecast area includes the Upper Colorado River Basin, Lower Colorado River Basin, and Eastern Great Basin. 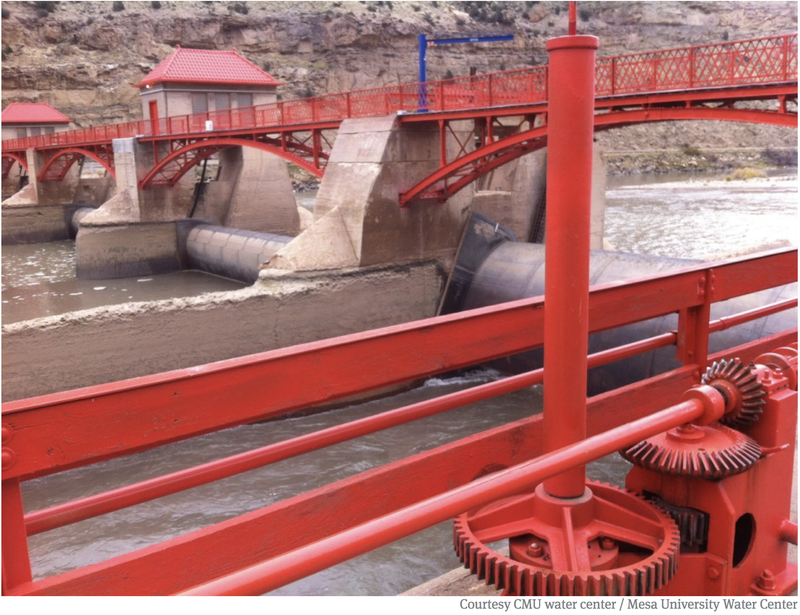 With the exception of the Green River Basin of Wyoming all of the Upper Colorado River Basin experienced an increase in the April-July water supply forecasts between early March and early April. Similarly, much of the Great Basin noted increases with the exception of some of the northernmost sections. Widespread significant precipitation occurred over most of the area during the first half of March. Storm systems with a sub-tropical moisture source, similar to those that occurred in February, resulted in large precipitation amounts that extended from southwest and central Utah into parts of southwest and central Colorado. In the areas that experienced the heaviest precipitation, snowpack conditions now range in the top three of the historical records dating back 35-40 years. 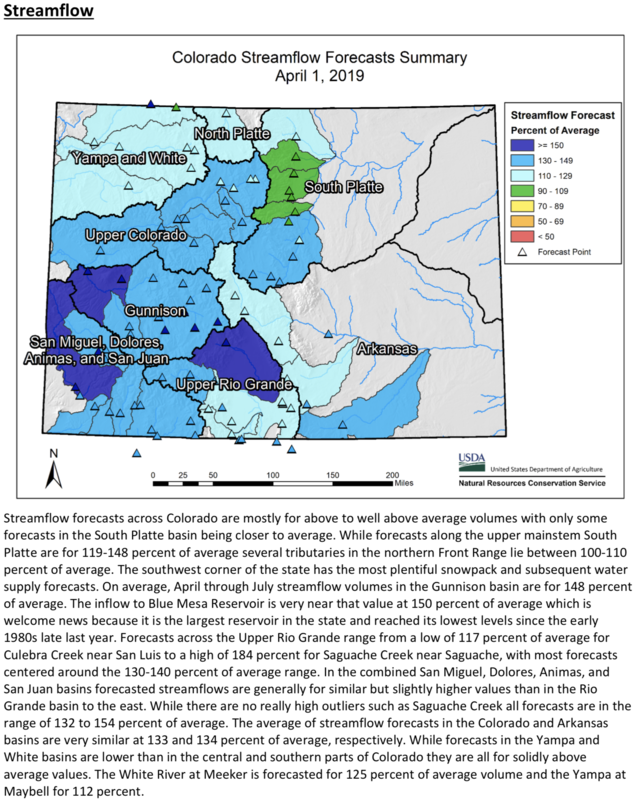 The largest increases in water supply forecasts between March 1st and April 1st occurred in the San Juan, Gunnison, and Dolores River Basins. 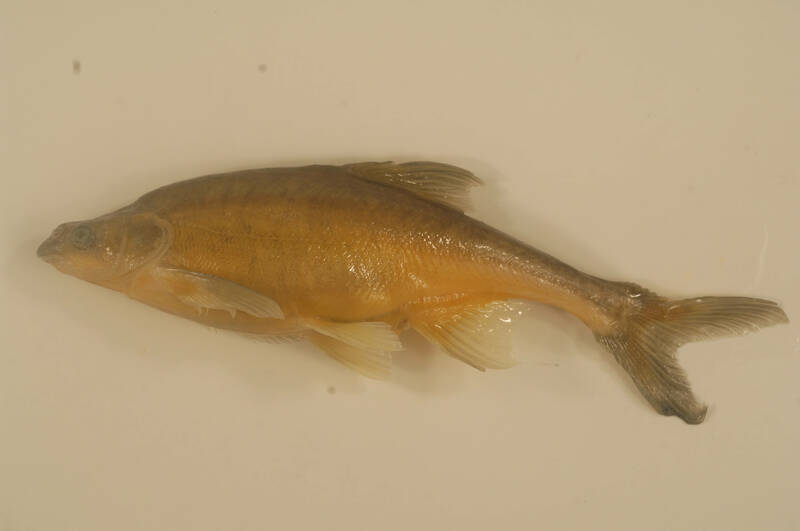 Significant increases also occurred throughout the San Rafael and Sevier River Basins in central and southwest Utah. Due to record February-March precipitation amounts in these areas, April-July runoff volume forecasts range from near 115 to 200 percent of average. Currently only parts of the Green River Basin in Wyoming and the northern Great Basin (Bear River Basin) have forecasts below average for the 2019 season. Very dry soil moisture conditions were widespread entering the winter season. These may have some impact on the overall yield of runoff that ends up in the streams depending on how the snow melt plays out. In areas with significant snowpack or where snowmelt is delayed the impacts of dry soils may be lessened. The Lower Colorado River Basin also started out March very wet particularly in the Gila, Salt, Little Colorado and Virgin River Basins. 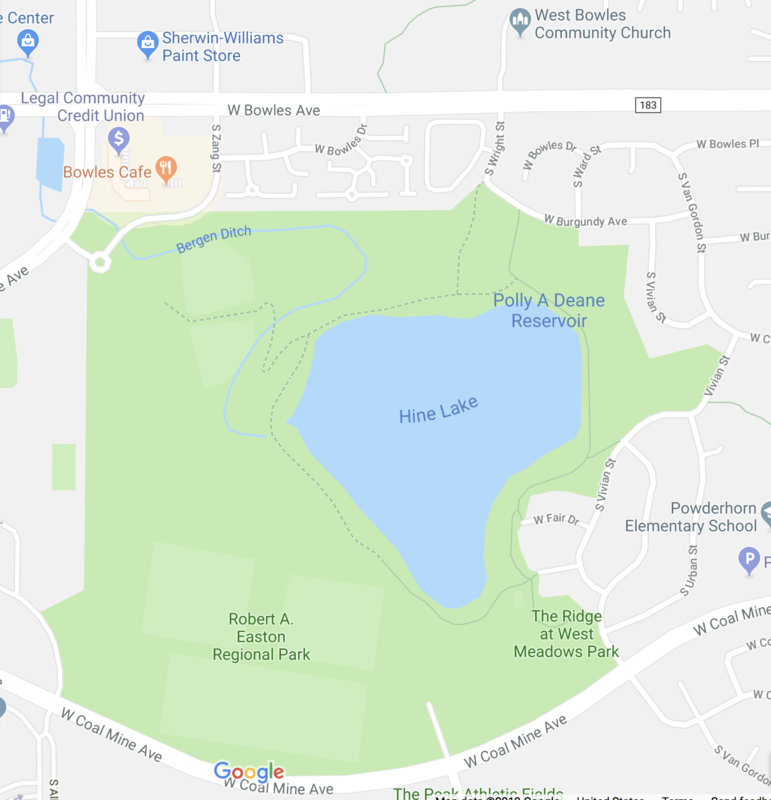 These areas were also very wet in February. While this area typically experiences drier weather over the next couple of months, many sites in Arizona and New Mexico have already reached their historical seasonal median Jan-May volumes due to rainfall and snowmelt over the past couple of months. 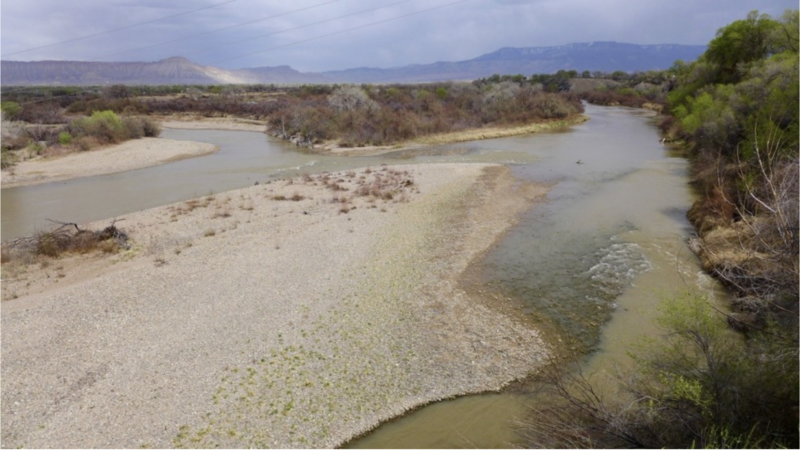 April-July runoff volumes in the Virgin River Basin are expected to range from 115-120 percent of average (175-205 percent of median). Much above normal (median) snow conditions exist across much of Utah and western Colorado and are generally higher in locations farther south. Currently, the only basin that does not have above normal snow is the Upper Green River in Wyoming which is near normal overall. The following maps show the SNOTEL sites as a percent of normal (1981-2010 median) and also as a historical ranking for their period of record. The snow as represented in the CBRFC hydrologic model is also displayed. The image below displays the SNOTEL sites as a percent of their historical median as of April 2nd 2019. Those sites in the dark blue currently exceed 150 percent of median (or normal) for this time of year while those in the dark purple are at 200 percent or more of normal. The snow percentile image displayed below indicates where the current snow measurement ranks in the historical record (typically 35-40 years) for each site. Those sites in black are the highest on record. Those in the dark blue are in the top 3 of their historical record, while those in the brighter blue are in the top ten. 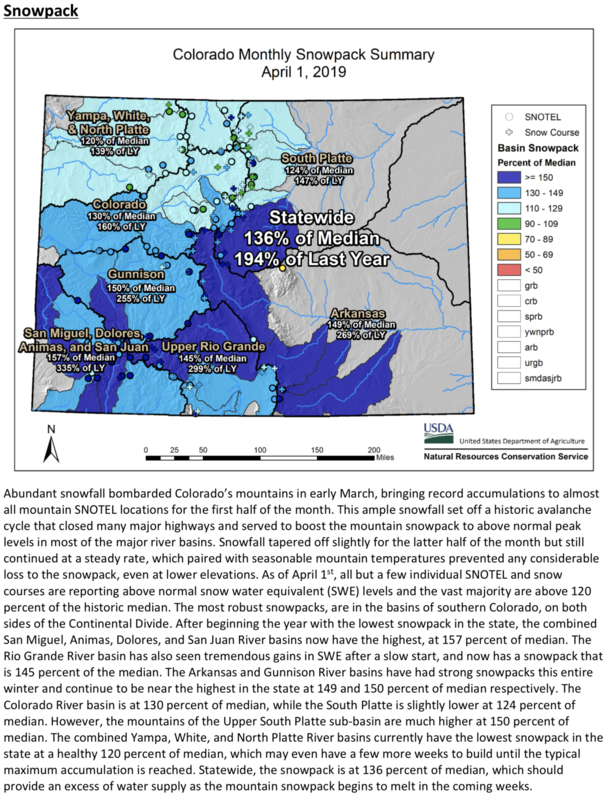 This map helps highlight the areas with unusually high snowpack at this time, such as the San Juan and Dolores basins in southwest Colorado. Sponsorship opportunities are available, please click this link for more information. Snow accumulations between March 1 and March 15 have been the highlight of this winter coming in at near record levels across much of the state. At the end of March, snowpack across the state of Colorado is 136 percent of median up 24 percent from last month. 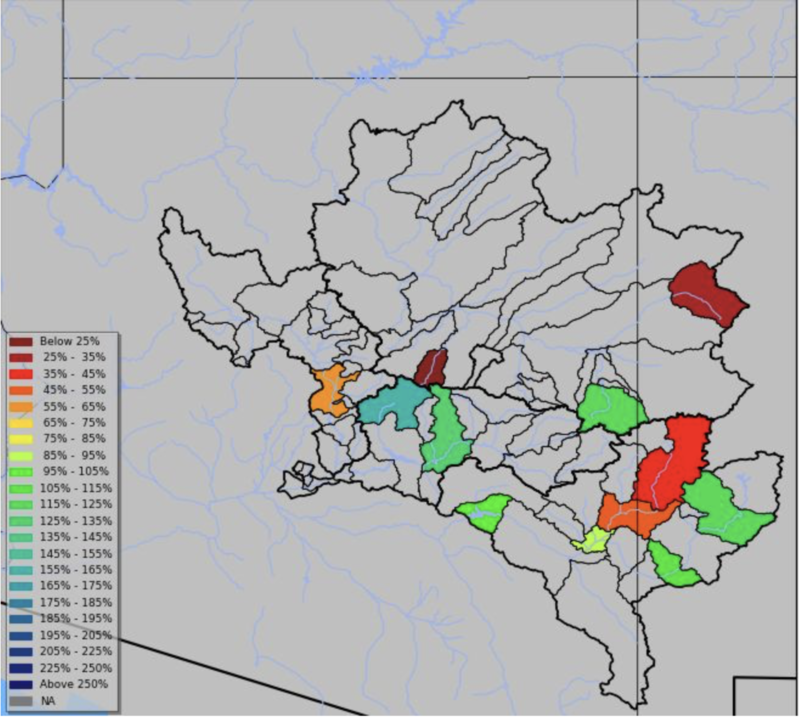 The combined San Miguel, Dolores, Animas & San Juan Basins posted the largest gain of 35 percent followed by the Upper Rio Grande, Gunnison and Arkansas at 30, 32 and 25 percent respectively. 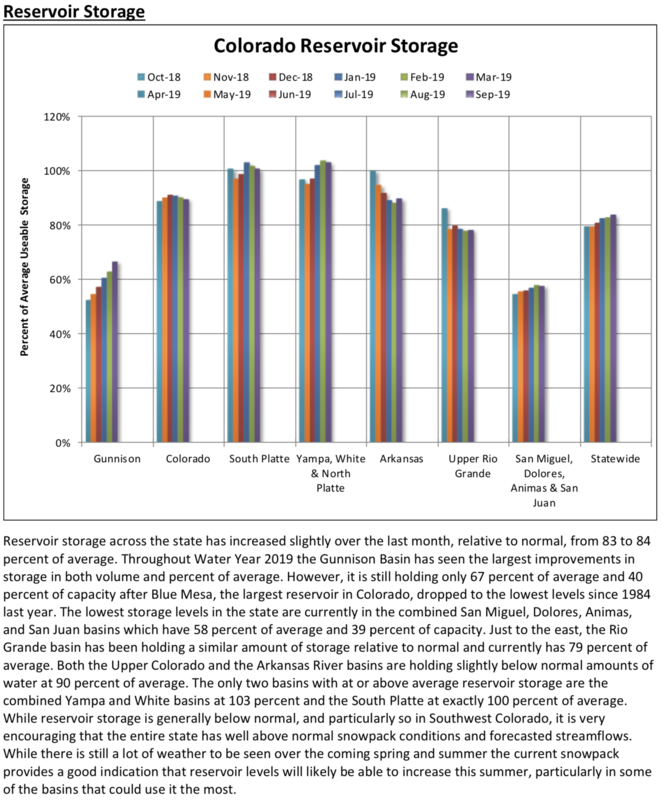 Basin-wide snowpack improvements elsewhere in Colorado were slightly more modest. 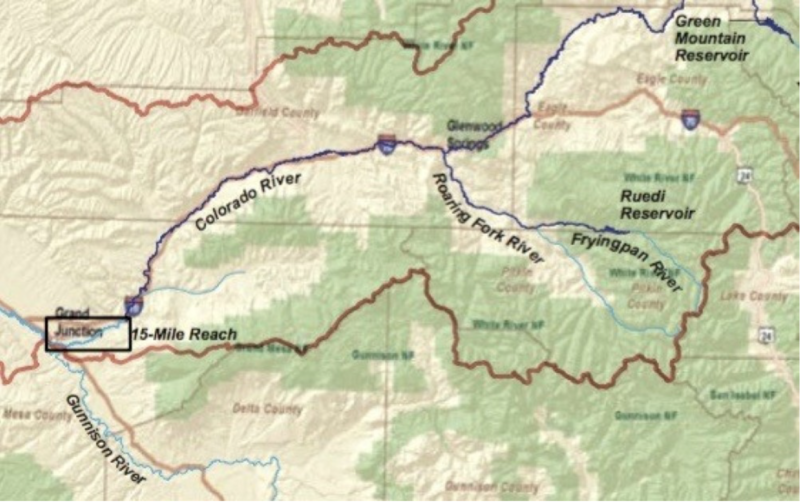 These improvements through March pushed snowpack past a significant milestone, “All individual major basins in the state are now above the typical annual snowpack peak, which often leads to a favorable water supply in each basin,” notes Brian Domonkos, Colorado Snow Survey Supervisor with the Natural Resources Conservation Service. Statewide Basin High/Low graph April 3, 2019 via the NRCS. March snowpack improvements showcase the impressive changes but equally noteworthy are current snowpack totals for the water year beginning on October 1. Snowpack observation points within the San Miguel, Dolores, Animas & San Juan combined basins indicate 157 percent of median, while snowpack in the Gunnison, Arkansas, Rio Grande, and Colorado indicate 150, 149, 145 and 130 percent of median respectively. 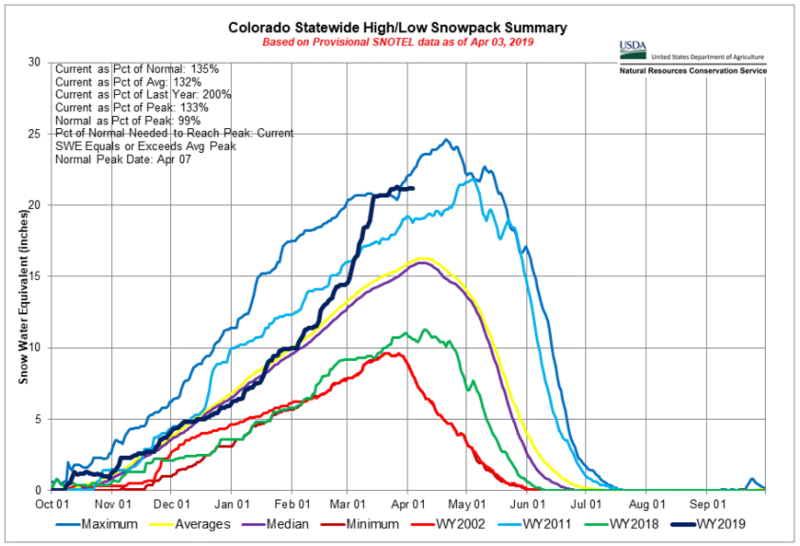 “Current snowpack values in some individual basins on April 1, 2019 translate to nearly double or triple levels seen during this same time last year,” comments Domonkos. 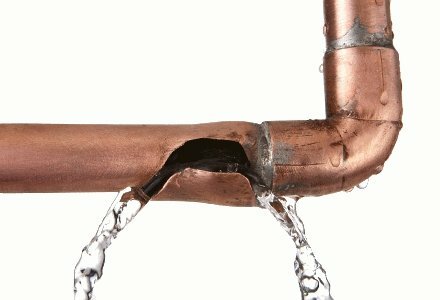 These improvements over last year are welcomed in restoring water supplies significantly depleted after last year’s drought. Similar to snowpack March precipitation was particularly impressive which amounted to 183 percent of average for the state. Water year to date precipitation across the state is now 123 percent of average. 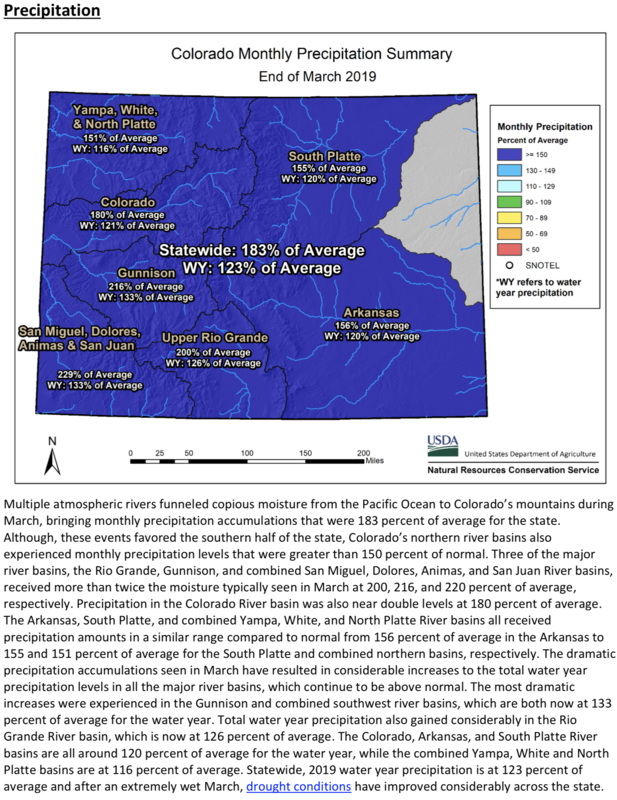 Precipitation totals in the Gunnison and combined southwest basins are no less impressive each at 133 percent of average for the water year to date. 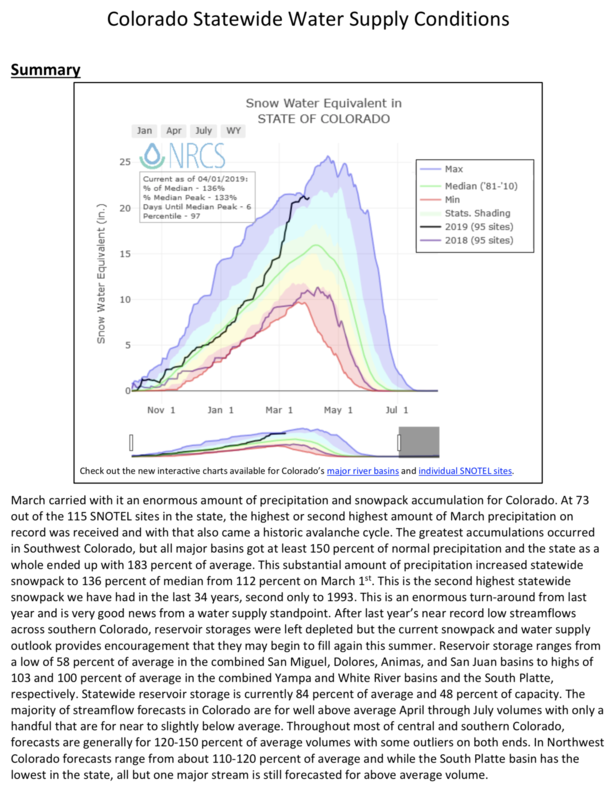 By the numbers March is typically the second wettest month of the year in Colorado meaning accumulations this March were particularly impactful. 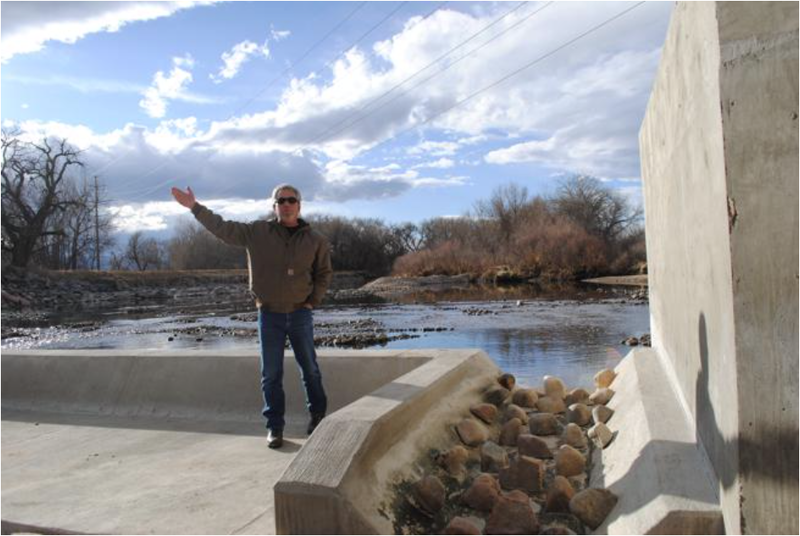 While reservoir storage levels across the state have seen little increase in recent months current snowpack levels are poised to increase storage levels across much of the state as the snow begins to melt. Most volumetric streamflow forecasts into spring and summer range from 100 to 150 percent of normal. 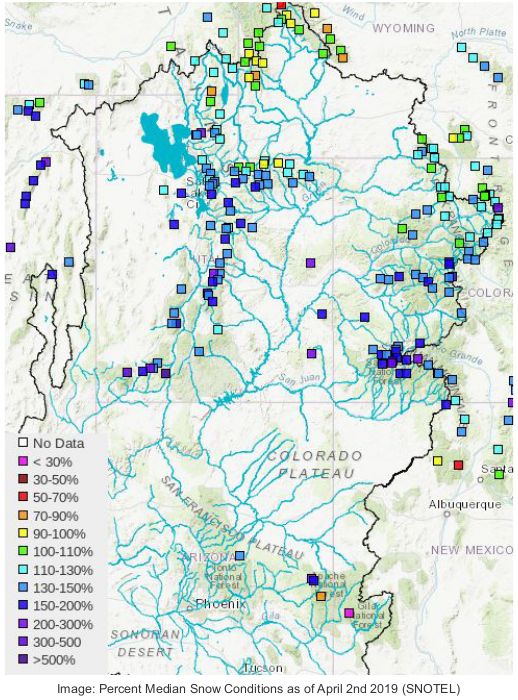 Basins that have the highest forecasts, namely in Southern Colorado, are those that had the least streamflow last year, which should be particularly beneficial for water supply conditions in those areas. 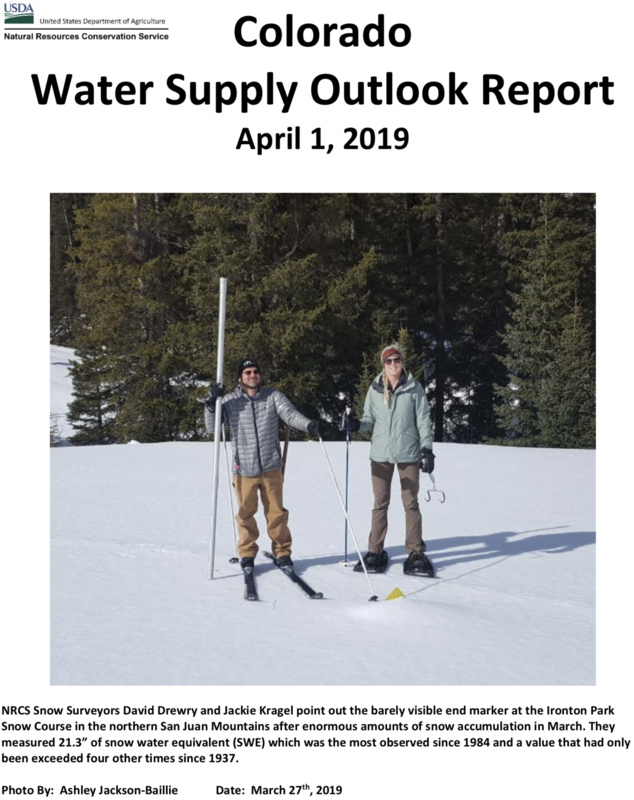 For more detailed information about April 1 mountain snowpack refer to the April 1, 2019 Colorado Water Supply Outlook Report. For the most up to date information about Colorado snowpack and water supply related information, refer to the Colorado Snow Survey website.